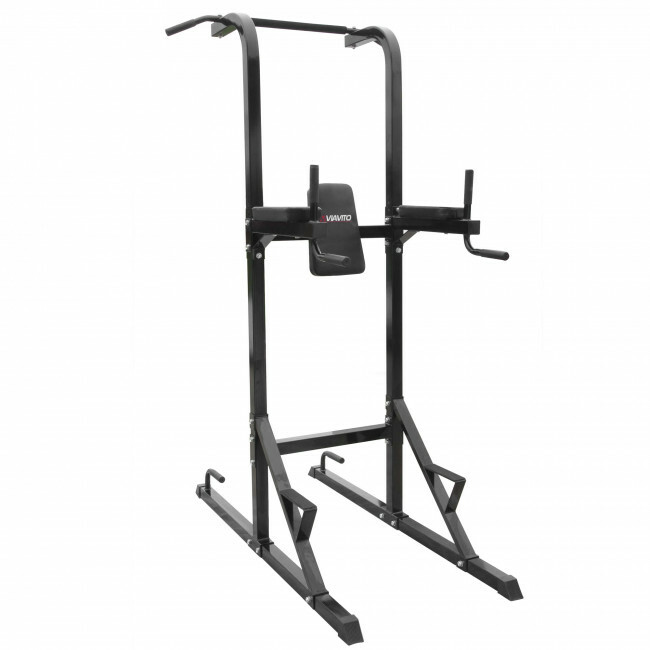 Suitable for effective total upper body workouts, the VKR power tower is a robust exercise apparatus enabling you to perform push ups, dips, chin-ups, bicep, reverse grip and wide pull ups, as well as trunk twists and leg and vertical knee raises. 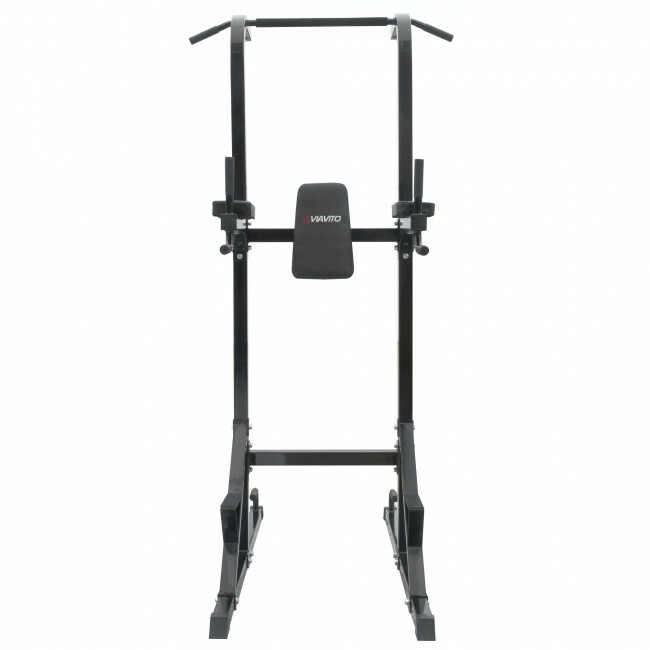 Enhance muscle tone, lift your body into better shape and strengthen your chest, arms, back and abdominals with this heavy-duty multifunctional piece of home fitness equipment. 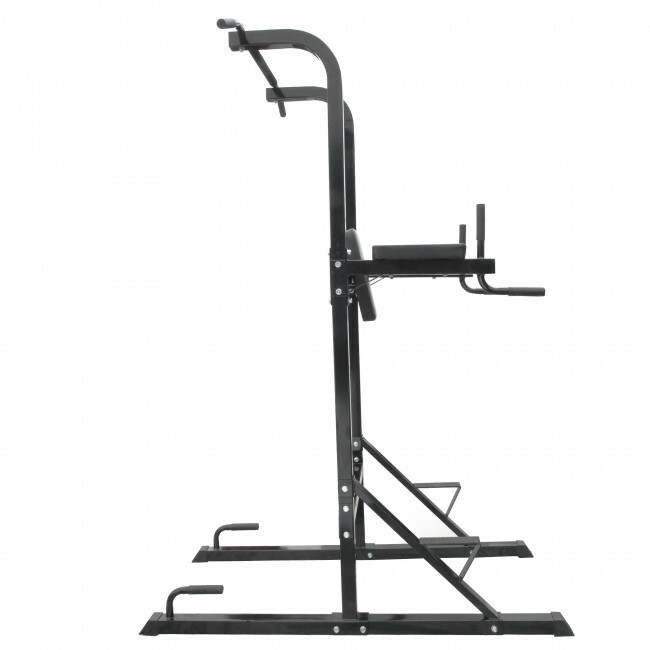 Get the most out of your workouts and feel comfortable while exercising thanks to its durable padded upholstery and solid, stable iron construction. 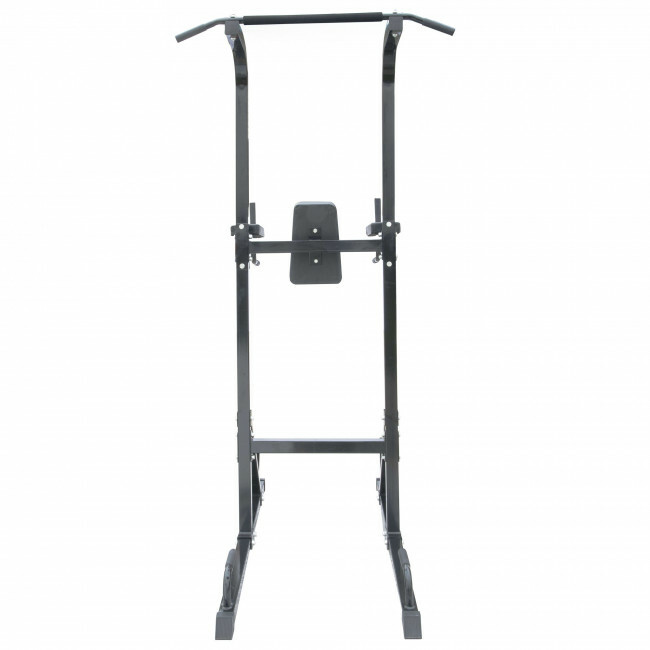 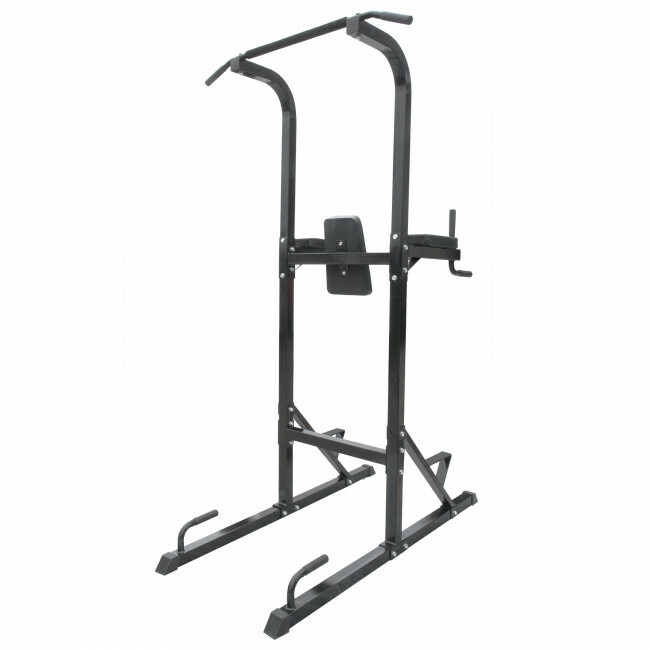 There is also a multi-grip bar and a convenient self-assist bar for extra support when doing chin and pull ups.